New Media Marketing: QR Codes – What is A QR Code? A few years ago one of my clients in the printing industry was very excited about QR or Quick Response codes. He had read about how they were very popular with marketers in Japan and Europe, and would be quickly catching on in the US. As a printer, he felt that the QR code would help to revitalize the printing industry and create vast opportunities to those who were first in the marketplace to offer these QR codes. Since that time, I’ve seen a lot of QR codes being used – some well, some not so well. The effectiveness for a QR code (to be scanned) is not inherent in the fact that it is a QR code, but whether there is value to the recipient of the information in scanning the QR code. QR codes are popping up in more and more places. Recently I saw an article that described how the International Gemological Institute is using QR codes to specify information about the gem. I also saw articles that described QR codes being used for memorials on tombstones as a way of sharing information about the deceased. Whether using the code on a billboard, a bus, a postcard or a business card the QR code is a great way to get a lot of information into a little space. Some ways I have seen a QR code used incorrectly are humorous. At a visit to a local restaurant, I recently saw a couple examples of QR codes. 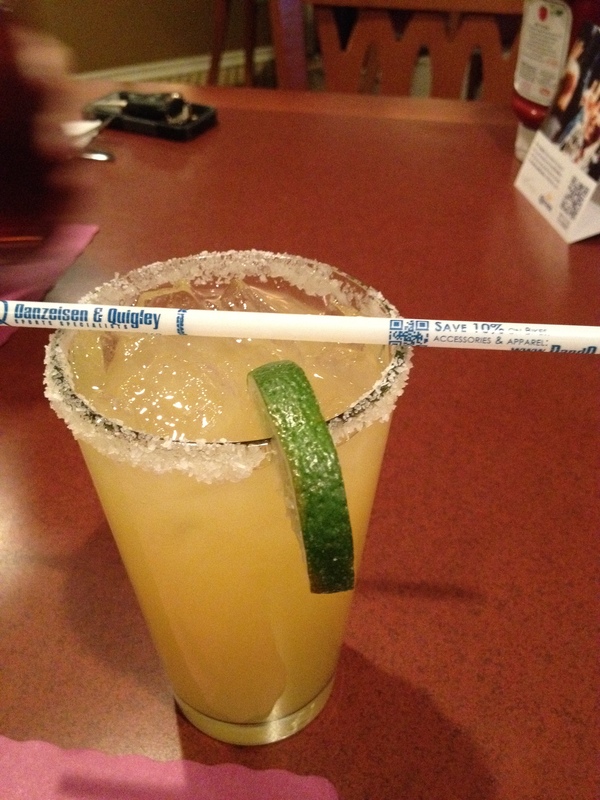 One example was a QR code printed on the side of a straw. The problem was twofold – first, there was no good way to hold the straw to get a picture of the QR code – you would have to squash the straw (rendering it unusable) and still the code just wouldn’t scan. The other problem was that the straw was used – I would have to either transport the sticky straw to get the discount, or take the time to rinse it out. I’m not quite sure what rocket scientist came up with the program, but I sure hope the client did not pay a lot of money for the campaign. QR codes are definitely becoming more popular and recognized. They are seen on buildings, rooftops, as a tattoo, and on t-shirts, even as crop circles! Why use QR codes? When scanned by a smart phone with a QR reader application, the QR code contains more information. This can be a webpage, a phone number, more product information, sales information, directions or any other information that you want to get into the phone of a potential customer. Originally invented by DENSO Corp. (a subsidy of Toyota) in 1994, QR codes, have gained quick popularity with marketers. The public has not been quite as anxious to adopt these codes and one of the main reasons they are ineffective is that they are used without a reason to scan. Just adding a QR code to a product or advertising campaign does not mean it will be scanned. Some other places to put a QR code may be in a direct mail campaign. The QR code supplements a URL that you may share with the reader to get more information. On name badges, a QR code helps a new connection add your contact info to their address book. Places that it does not make sense to put a QR code are on a website or in an online campaign. The most important thing about using QR codes effectively is probably the least understood. Putting a QR code on an item is fine, but you also need to give a reason for someone to open up that app and scan it. Without a reason, your QR code is wasted ink. 1.Download a QR scanning application for your phone. 2. When you see a QR code use the phone’s camera and the application to read the code. 3. The application automatically opens the link, video or image. Some popular QR scanning apps include RedLaser, i-nigma, NeoReader and Grip’d. There are applications available for most smart phones. It’s easy to see how the ability to scan a code and go directly to a website could be useful. Real Estate agents can use the code on a sign outside of a house, which when scanned, leads to a website with more information about the property. Buses can have a QR code on the side that shares information about upcoming events in town. T-shirts can be printed with QR codes that lead to a Facebook page. Removable tattoos with the QR code on them can lead to a Paypal donation site for charitable organizations. The creative usage and ideas are limited only by imagination. Want to try creating a QR Code? There are many QR code generating tools on the market. The QR reader is universal, so it doesn’t matter who generates the code. How would you use a QR code? Would it be helpful to have a way to get viewers to your website?